The former Barcelona player doesn’t seem to agree with the Kylian Mbappé hype, he thinks Neymar is more like Messi than the Frenchman. As both Neymar and Kylian Mbappé keep making a name for themselves and taking all the attention with their talent, there are many football experts like Xavi Hernandez who like analyzing both players. There has already been a statement from Carlo Ancelotti in which he says the French wonder kid and the Brazilian star are Messi and Ronaldo’s heirs to the thrones, but Xavi wanted to make the comparison a little more clear. The Catalan player is obviously in awe with the physical power that Mbappé has, he also praises the goal-scoring capacity but he thinks that Neymar is the one who can be compared to Messi because of his magic. While Mbappé is quite the spectacular football specimen, Xavi still thinks that Neymar is the more versatile player and the one who will evolve in a similar manner that Lionel Messi has done throughout his career. So, reading between the lines, Xavi is practically saying that Neymar is like Leo and Kylian is more like Cristiano Ronaldo. The Catalan player who is ending his career in Qatar and also studying to become a manager, recently gave an interview to Catalunya Radio where he spoke about several topics. But when he was questioned about Kylian Mbappé, Xavi confirmed that he doesn’t believe the French youngster will ever reach Lionel Messi’s level of performance and Neymar will. But in regards to the Brazilian, Xavi believes that he needs to mature as a player before improving. “They are different. I see Leo with great footballing maturity. He does everything well. Neymar is a person who has to mature, but he seems like a player with enormous capacity to make a difference,” said Xavi during an interview. “Neymar is the player that I have seen, if he manages to acquire that maturity, that might be more like Messi,” he concluded. Mbappé has been proving this season what he is all about, a very potent player who has the skill to dribble past opponents like they were cones and who also has a unique capacity to score fantastic goals. Neymar has become more of the creative player in PSG, but the French lad has delivered the best numbers this season so far. With his last goal against Lille in Ligue 1, Kylian is at the very top of the Golden Boot race with 11 goals so far. This latest top form that he’s achieved, has brought Kylian Mbappé to the very top of a prestigious list of the most expensive players in world football. According to the Switzerland Football Observatory, the French wonder kid’s value has soared to a staggering €216,5 million. 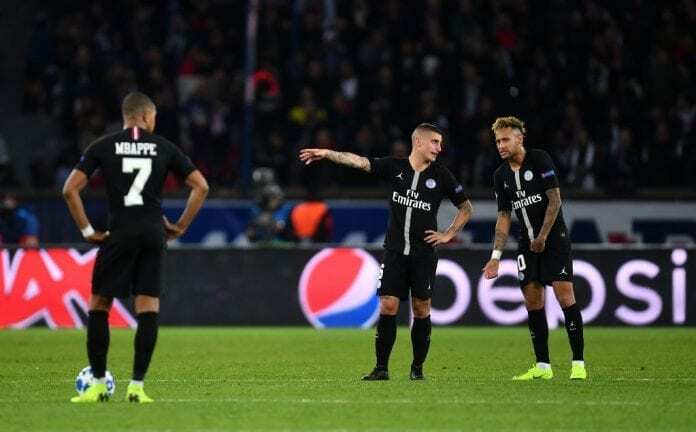 This new development makes the PSG forward the most expensive player in world football, he has a privileged spot ahead of Tottenham Hotspur’s Harry Kane and his teammates Neymar who take the rest of the spots in the podium. As far as style of play is concerned, Xavi is right to point out that Kylian Mbappé is not like Lionel Messi. The French teenager resembles more of a combination between Thierry Henry and Ronaldo Nazario, a lot of power combined with skills to conduct the ball at lightning speed. Do you agree with Xavi or Kylian Mbappé will reach the same level as Messi instead of Neymar? Please give us your opinion in the comment section down below.